Mr. Tom Fishburne is a cartoonist with an eye for the unspoken truths and the absurdities in business, especially in marketing. If you find yourself rolling your eyes in marketing meetings, shaking your head at money being wasted on marketing fads, or gnashing your teeth at how stupid processes are destroying your buiness idea, then a free email subscription to his regular cartoons (via his homepage) will be just the tonic. Above is my favourite cartoon of his, so far. It captures in a single image a point that I’ve taken thousands of words to make, less eloquently, over the last six years. Today he publishes another fine insight – here. This entry was posted in Marketing on December 5, 2011 by Simon Rees. The Digital Marketing Institute is a new type of marketing training company – born out of a frustration felt by marketing agencies in Ireland because they could not recruit staff in Dublin with good knowledge of digital marketing. Therefore, they set up a company to provide training in digital marketing, a need that was poorly met at the time by both the academic and the professional training organisations in Ireland. It has now expanded to the UK, the USA and other countries. Earlier this year I started delivering lectures to their students on my specialism of word-of-mouth / viral marketing, and it certainly has been a good discipline to deliver 3-hour lectures to inquisitive, demanding students. So thanks very much to Anthony at the DMI for the opportunity to be part of this valuable institution. 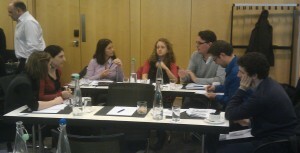 Personally I’m convinced that the DMI has had a big impact on the quality of digital marketing going on in Ireland. 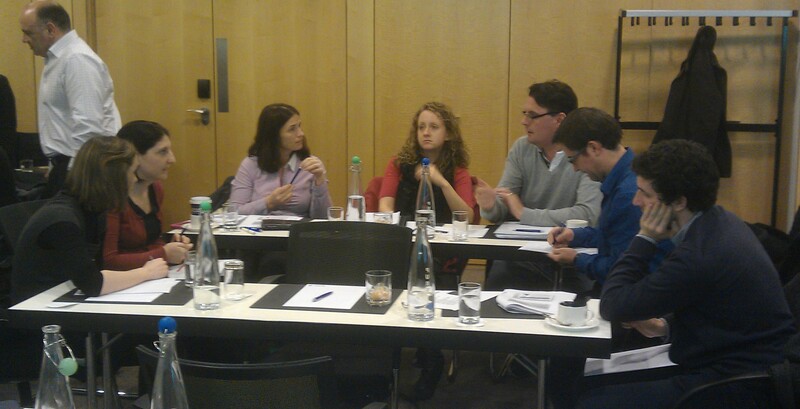 Learning like this will make the Irish economy more competitive. Power to you. This entry was posted in Marketing on November 23, 2011 by Simon Rees. A hundred years ago the military got better equipment than businesses did, now that has changed. Twenty years ago, businesses had more powerful kit (computers, cars…) than consumers did – not any more. Five years ago adults had more powerful equipment (phones and laptops) than teenagers did – not any more. This entry was posted in Management on July 10, 2011 by Simon Rees. Back in World War 2, the US government created an intelligence and dirty tricks agency called OSS, or the Office of Strategic Studies. 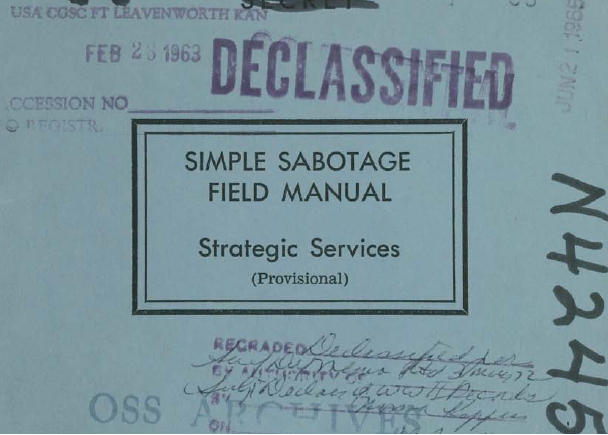 One of its wartime actions was to produce a Field Sabotage Manual. This document has recently been declassified and can be viewed here. I am indebted to Bruce Schneier’s excellent crypto-gram newsletter for bringing it to my attention. 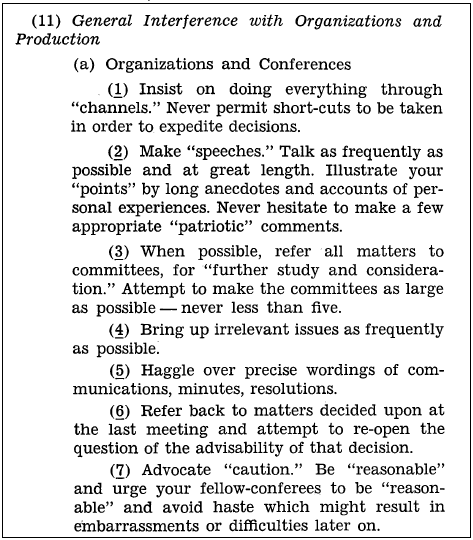 The manual contains all sorts of useful instructions for sabotaging trains, generators and other equipment -but for me the best part of it is section eleven, which instructs the saboteur on ‘General interference with Organizations and production’ which runs from page 28 to 31. Among the tips for causing chaos and making an organisation unworkable are many that will be familiar to customers of government departments everywhere, such as the recommendation to ‘Apply all regulations to the last letter’. Section 11 in particular of the document is well worth reading. It is hard to believe that the author did not have a strong sense of humour, and it is sobering to think that way back in the forties, wise minds working for governments could see how damaging such practices are to an economy and to the morale of the population. This entry was posted in Management on May 10, 2011 by Simon Rees. 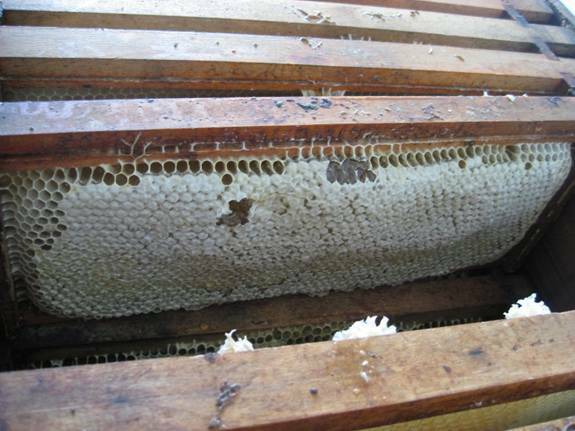 Beekeepers – ever had that situation where one swarm or one split too many leaves you short a hive roof? 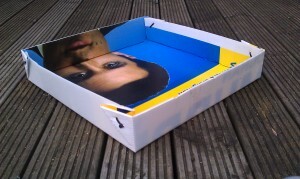 Well, I’ve just made a couple of serviceable emergency roofs from Irish election posters. Here’s how. A piece of flat corrugated plastic, 68cm square with no holes, cut from an election poster (this size fits national / commercial hives which are 46cm square). Ideally choose a poster with printing on one side only. NB election posters vary in thickness – most of the Irish ones are fine, but some may be too thick. four thick cable ties (white is the best colour, I think). A crown board or similar for a template. Tools: a Stanley knife (box cutter), a marker pen, a hammer, pliers and a bradawl /skewer / small screwdriver. Decide which side will be outside. I like to have the face of the poster on the inside. NB if your poster has anything printed on the back, make this the outside (I found that the printing on the back of election posters can flake off). Put the crown board in the centre of the square piece of election poster. Using your crown board as a template, mark out a square area 2cm bigger than the crown board on each side. There should now be a distance of 9cm on each side from the square you have marked to the edge (these areas will be the sides of your roof). Using the crown board as a straight edge, make a fold in the poster along each side of the square that you have drawn. Folding with the grain of the poster’s corrugations is easy, folding across the grain requires force and care. Going against the grain, it helps if you score along the fold line first (don’t break the surface) with a hive tool (not a knife). Bend the poster double at each fold, right to the edges. Use the hammer to bash the folds flat so they stay put. Don’t cut the plastic. Next, using the same technique, make a diagonal fold from each corner of the square that you drew to the corner of the poster. If your piece of poster is square and you drew your square in the centre, these folds will be at a 45 degree angle to everything else, which is what you want. Bend the sides of your roof up at 90 degrees, and fold the 2 triangles in each corner over to one side, outside. You may need to use the hammer again to make them lie flat. In each corner, drill two small holes though the 2 triangles & the roof side with your bradawl, skewer or screwdriver. Put the holes parallel with the diagonal fold for maximum strength and durability. Push the cable tie through the holes so the ends are outside, and pull them very tight with the pliers. Snip off the ends. There – your roof is complete. Total cost: four cable ties and a few minutes’ work. Two things to remember with this roof: first, it’ll need a weight on it to keep it from blowing off. 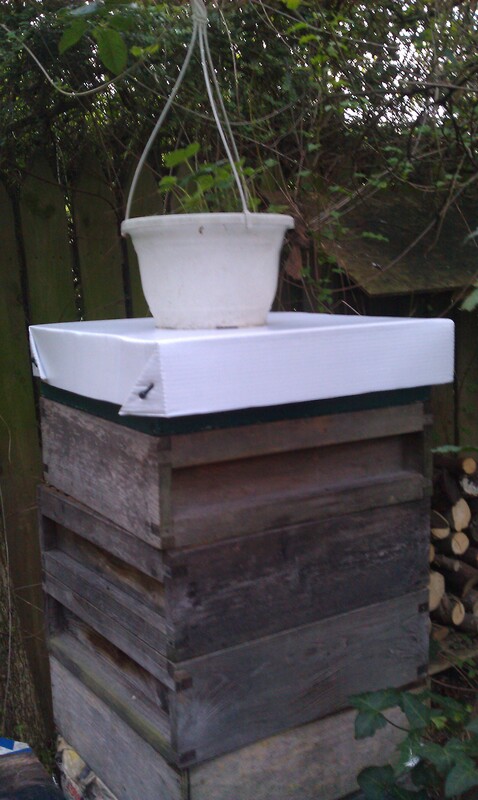 Second, it won’t offer good ventilation, so consider adding ventilation by putting matches on 2 or 4 corners of the hive between the crown board and the top super. I use mine to protect the spare supers that I keep at home. 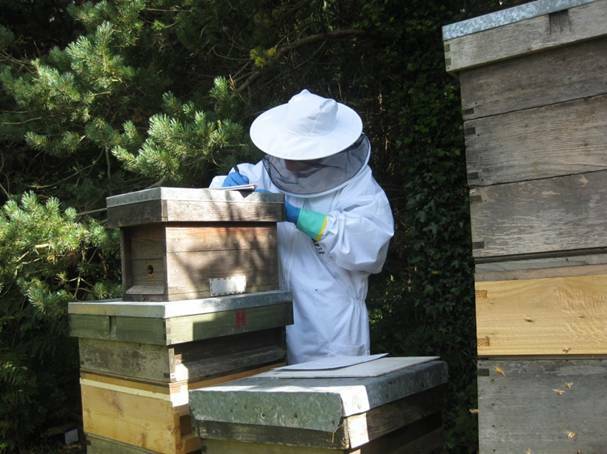 A version of this post appeared as an article in An Beachaire – the Irish Beekeeper in 2011. This entry was posted in Beekeeping and tagged Beehive, election poster, hive roof on April 9, 2011 by Simon Rees. We started at 7.45 on a soon to be very tiring Friday. Our first job for the day was to get the honey jars and lids out of the roof, this was to be the scariest part of the day. As I gingerly descended down the stepladder laden with a box of honey jars I heard Simon’s voice call out “Here’s another box”, I was already feeling hungry. As we left the house in Eimear’s car with an empty boot soon to be filled, I was feeling slightly tentative about the day ahead. This was not helped by Simon describing how before he got 200 stings in one inspection (luckily not all of them broke the skin). As we got closer to the apiary site the countryside that surrounded the road calmed my nerves. As we left the road and entered the forestry commission site all I could see was rough open land and didn’t know where the hives could be! The car pulled up in the middle of nowhere and we both got out and suited up, then Simon led me round to the bees. The first hive that we took the honey off had 2 full supers. As I left the site with a wheelbarrow full of honey I was already exhausted and it was only lunchtime! The next site that we visited was called Bohilla and this was the site that had the angry bees in it. As we pulled into the drive of Nan’s house there was no sign of the bees. We suited up again and let out the remaining bees whom were trying to protect their honey. I struggled through wood behind Simon getting caught on the twigs as I went. As we arrived to the hives I could see 6 hives and a nuc box! As we got into the robbery Simon suddenly remembered that we had to write up the inspection notes. This job was down to me and when you are gripping a pen with 2 pairs of gloves on it takes double the time! 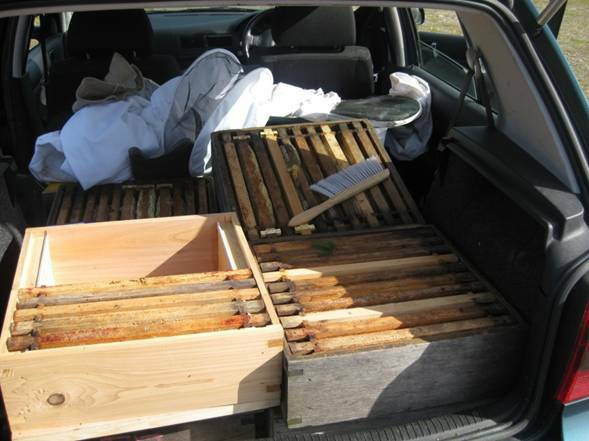 When we had finished we took all the honey back to the car all 9 boxes of it. When we got back home we decided that it was time for lunch (as we had been working so hard), so we went to the Chippy up the road. After lunch we got to the messy bit EXTRACTING. This started with putting newspaper down to try to contain some mess, which later got screwed up and later made it even worse. Halfway through the extraction process and the floor was Eimear’s nightmare, there was newspaper everywhere honey and cappings on the floor and the extractor was going wild dancing all over the floor, not to mention the burst frames! The only thing that released my mind from this mayhem was the beautifully capped frames of honey of which this was one. At this point the smell of honey was pungent in the house and as my parents came to pick me up for the night they got blasted with the scent of Irish honey that they had never smelt before. Day 2: As I arrived at an all too familiar sight, Simon slaving over a bucket of honey and trying to keep the mess down as much as possible. I was given my orders for the day BOTTLING, BOTTLING was not the word to describe it, it was more like slave labour. I had about 150 jars to fill and it wasn’t going to be easy, I started by doing the very painful task of putting the lids of the jars into the oven to sterilise them and to this day my hand has only just recovered from it. I have to say that the good thing about bottling is that you have to make the jars look nice which means digesting about a pound of honey thought the process. This is why I think Eimear got a bit angry with me for taking her job and making her retire to the sofa in front of the T.V. At three o’clock I was nearly done and we decided to cut it short and start constructing some frames this meant a lot of banging. After we finished the extracting we had to clean up the extractor. This would have been easy but there were swarms of bees around it wanting the honey that we were trying to clean. After we had battled through the bees we had to take the extractor back to a man called Seamus. When we arrived at his house (without dropping the extractor out the back of the car) we had to get the extractor down the drive. This would have been easy in normal circumstances but there was a car in the way. We had to go through the next door neighbours house which was being refurbished. As we got to the door we had to unlock it as Seamus wasn’t in. We got back in the car we thought that it was a bit strange that he wasn’t in. In fact I heard later from Simon that he was in and that he didn’t hear us! That was our honey harvest experience it was tiring, it was sticky but it was fun. Simon’s note: I’m very grateful to Tom for his help with the harvest and for his contribution to the blog. Cheers, mate! This entry was posted in Beekeeping on October 7, 2010 by Simon Rees. I travel a lot with my work. It goes with the territory. And I visit a lot of hotels. I don’t know whether it’s memetics or the result of hotel industry conferences, but lots of hotels seem to have similar notices in their bathrooms. 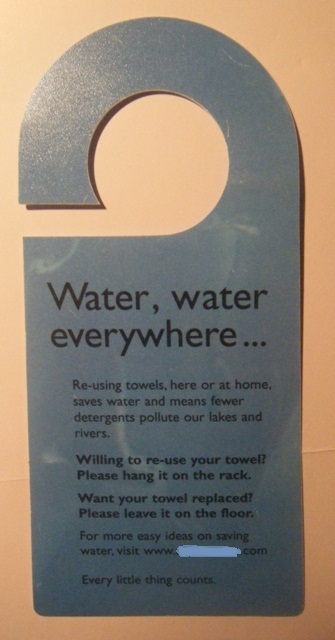 You know the ones that say ‘Do you care about the environment?’ and go on to blackmail you to use the towels multiple times. I’ve no issue with using towels for more than one day – after all, we all do at home (right?…), but these are frequently the same establishments that are blasting airconditioned air out of the front entrance rather than shut the door, or that make no attempt to recycle empty bottles from the bar. In the bathroom of one very fancy place where I stayed a couple of weeks ago, the bathroom contained the sign in this picture. When you read the message, bear in mind that this is a place in Northern Europe with a heated outdoor swimming pool. Saving the planet my backside! It’d be so much better if they just told the truth. This entry was posted in Management, Marketing on August 22, 2010 by Simon Rees. I was recently privileged to listen to Krishna De speak on (inter alia) the use of short movies to convey information on blogs and company websites. She demonstrated how easy it was to produce an interesting internet video content that was, if not high quality, certainly fit for purpose. The same week I was to attend the Irish Beekeeping Summer School in Gormanston, Co. Meath – so what better than to combine two of my interests – beekeeping and marketing – and try my hand at making some movies for the Dublin Beekeepers’ website. The results are here – with neophyes as interviewer and camera operator, anyone can see we have plenty to learn, and we could do with more sophisticated equipment than my wife’s compact camera! Nevertheless, I hope these movies show the power of these simple tools, and, if you happen to have any interest in bees, pique your interest in the Gormanston Summer School. This entry was posted in Marketing on August 16, 2010 by Simon Rees. 1. How much nectar is in a teaspoon of honey? The bees collect nectar to make honey. Nectar varies enormously in its sugar content, but let’s say our spoonful comes from nectar that is 80% water, by weight. Therefore to make one spoonful (10 grammes) of honey you need 40 grammes of nectar. 2. 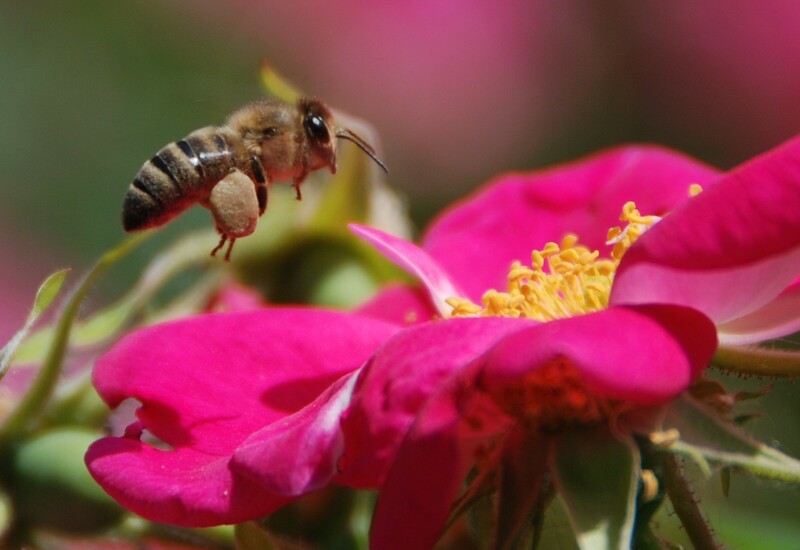 How much nectar is made in a worker bee’s lifetime? A honeybee’s nectar load is estimated at 25-40mg per trip. Let’s assume 32mg /trip . Worker bees begin foraging for nectar when they are a few weeks old. Let’s say a worker bee lives 40 days and starts foraging at 23 days old. That’s a maximum of 17 days foraging. We will assume that’s raining on a quarter of these days. That gives her about 12 days foraging in her working life. A foraging bee will do about 10-15 trips each (dry) day. Assume 13 trips/day. A 32mg nectar load x 13 foraging trips/day x 12 foraging days/life gives 4992 mg = about 5 grammes of nectar in a worker bee’s lifetime. 3. How many worker bee lifetimes does 40 grammes of nectar take? 40 grammes nectar = 8 lifetimes of a summer worker bee. Therefore one 7ml spoonful of this honey is the foraging life’s work of 8 worker honeybees. However, as every beekeeper knows, beekeeping is a matter of opinion, and this calculation is no exception. Spoons may be smaller or nectar may be more concentrated. Bees may start foraging younger, may forage longer per day or may have fewer cold wet days. They could carry more, or nectar sources may be closer to or further from the hive. Moreover, an accountant would tell you that if the spoonful of honey was fully costed, then one would have to take into account many other factors such as the honey used as fuel in foraging & honey processing, and the overhead of the queen & the male bees (it would take weeks to build all that in!). I’d say you could pick any multiple between say four and twelve lifetimes, and be quite justified. So there you have it. A spoonful of honey is the life’s work of eight honeybees. However, as my friend Bill Kantor says, ‘your mileage may vary’. A version of this post first appeared in An Beachaire – the Irish Beekeeper in 2009. This entry was posted in Beekeeping on August 3, 2010 by Simon Rees.